Today’s forecast is brought to you by The Mariner; we have received our horoscopes and the outlook looks pretty grim. The Beast from the East, a violent weather system is heading our way and shows no sign of relenting. 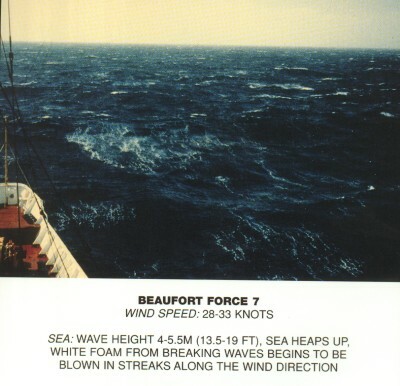 Winds of 80kts and waves of 15metres high are predicted to reach us imminently and I for one am not looking forward to it. 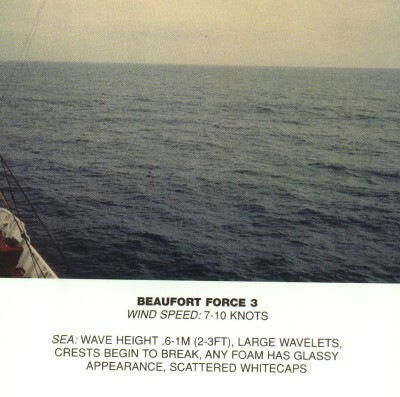 Along with certain seasickness, we will face several days of nights unable to stay in our bunks, let alone sleep. The atmosphere (which has been great this trip) plummets, morale is non existent, the chance of injury is high and the risk of total meltdown is evident in everyone… Except there is always one mariner who stays right proper chipper… Annoying so and so!! 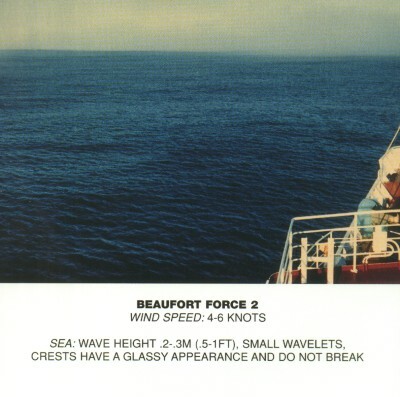 I thought I’d take this opportunity to explain a little to you about the Beaufort scale. We use the scale to grade the type of weather we are experiencing. This might seem unimportant because there is often very little we can do about the weather but as a small example; a shipping container of all your worldly possessions goes overboard this type of information is paramount which determining insurance claims etc. 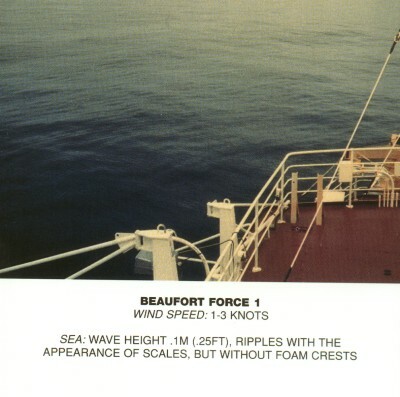 The scale was devised in 1805 by famous mariner Rear Admiral Sir Francis Beaufort, an Irish Royal Navy officer, while serving on HMS Woolwich. 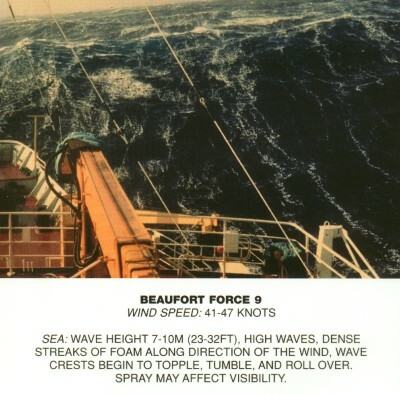 In the early 19th century, naval officers made regular weather observations, but there was no standard scale and so they could be very subjective — one man’s “stiff breeze” might be another’s “soft breeze”. 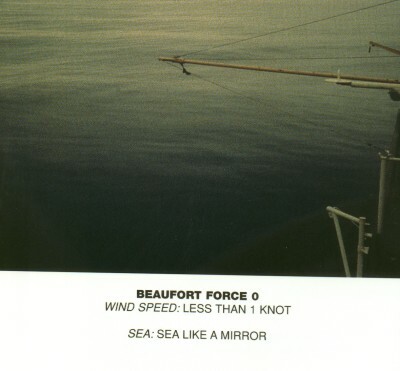 Beaufort succeeded in standardizing this scale. 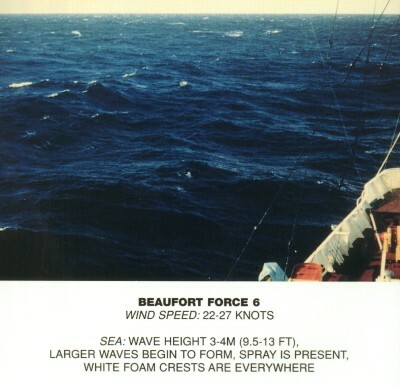 The initial scale of thirteen classes (zero to twelve) did not reference wind speed numbers but related qualitative wind conditions to effects on the sails of a man-of-war, then the main ship of the Royal Navy, from “just sufficient to give steerage” to “that which no canvas sails could withstand”. At zero, all sails would be up; at six, half of the sails would have been taken down; and at twelve, all sails would be stowed away. The scale was made a standard for ship’s log entries on Royal Navy vessels in the late 1830s and was adapted to non-naval use from the 1850s. 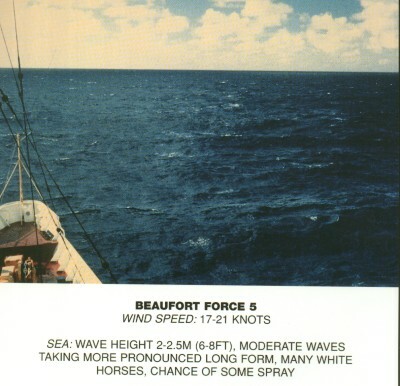 In 1916, to accommodate the growth of steam power, the descriptions were changed to how the sea, not the sails, behaved and extended to land observations. 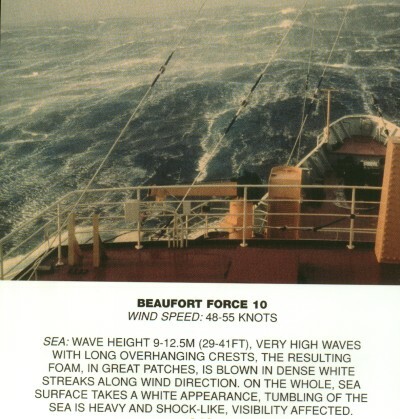 Today many countries have abandoned the scale and use the metric system based units, m/s or km/h, instead, but the severe weather warnings given to the public are still approximately the same as when using the Beaufort scale. 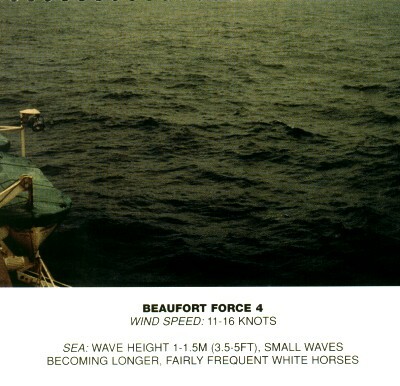 The Beaufort scale was extended in 1946, when forces 13 to 17 were added. 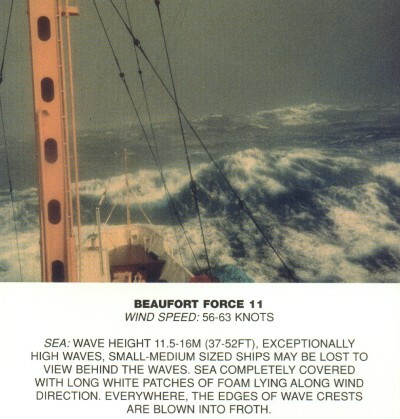 However, Forces 13 to 17 were intended to apply only to special cases, such as tropical cyclones. Nowadays, the extended scale is only used in Taiwan and mainland China, which are often affected by typhoons. 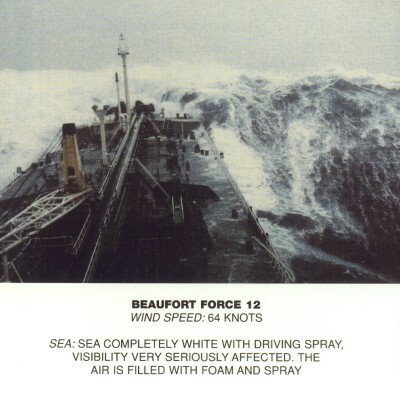 The following pictures are taken from a very old guide that the met office issued to help us with determining the correct force. I will keep you posted on our impending doom! This entry was posted on Wednesday, December 12th, 2012 at 1:46 pm by The Mariner. You can follow any responses to this entry through the RSS 2.0 feed. Being involved in such powerful measures with mother nature really does take your breath away. 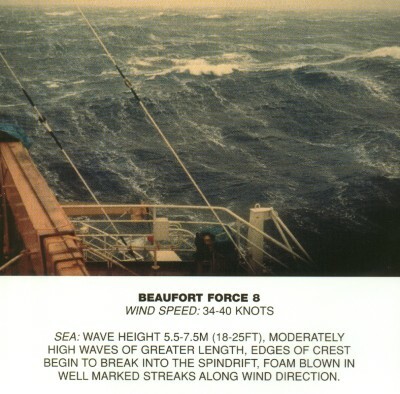 I was in a hurricane once, but never at sea. an ideal approach of writing? I’ve a presentation next week, and I am on the look for such information.